LOTR Silver Ring chain(WETAFC) JRR Tolkien The Lord Of The Rings fantasy jewelry, LOTR rings of power. 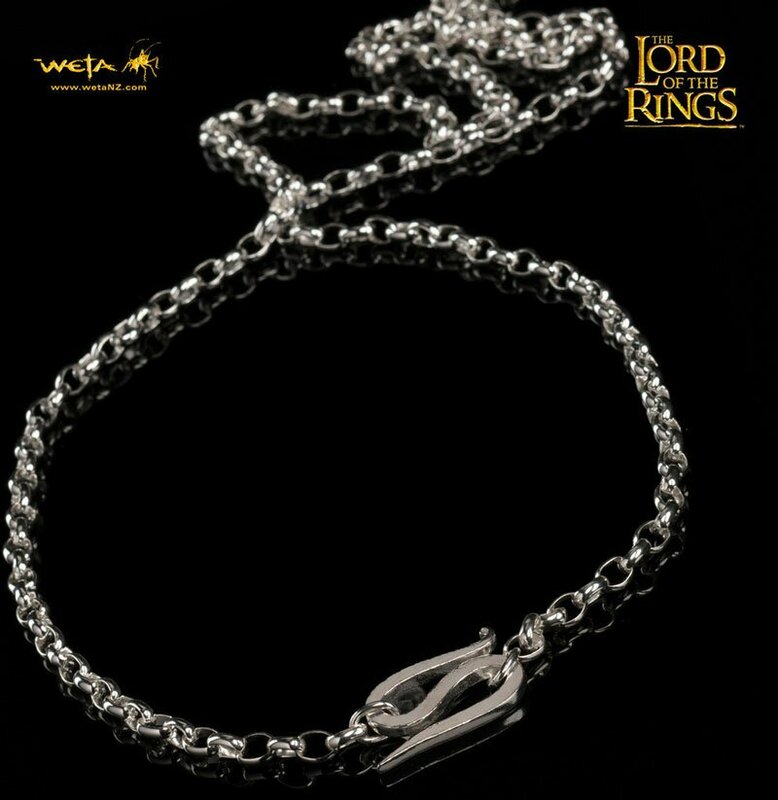 Sterling Silver chain as worn by Frodo with the Movie Ring in film trilogy. Price is for chain only. The Movie Ring available separately. Licensed product. The "real Movie Ring" is not inexpensive. This is a faithful reproduction of the ring which Frodo wore in the films and which is now treasured as a keepsake by Elijah Wood. The "real Movie Ring" has twice as much gold as some officially licensed merchandise "replicas".